AirBridgeCargo Airlines (ABC), one of the world’s leading international cargo carriers, has transported its 500th aircraft engine in 2018, supporting long-term customers with the provision of timely, seamless and safe transportation of these highly delicate shipments. “The 500th jet engine is another milestone for ABC and serves as a quantum leap in the development of our abcXL product. We have strengthened our position in the aerospace segment of the air cargo market, realigning our procedures, working with trustworthy and reliable handling and trucking partners, and training our personnel to guarantee smooth and intact delivery of aircraft engines. We have also introduced the latest 3D modeling software tools to enhance load planning and to minimize the time required for ground handling procedures. This 500th transportation in only eight months of the current year proves once again that our customers recognize the value provided by AirBridgeCargo Airlines, trust our global abcXL team of experts, and appreciate our dedication to meeting every requirement,” highlighted Vasily Zhukov, Global Director, Heavy & Outsized Cargo at AirBridgeCargo Airlines. For the first eight months of 2018, the 500 jet engines delivered by AirBridgeCargo represent a 50% growth year-on-year, a significant increase which is attributed to the strengthening of the airline’s abcXL product, which is underpinned by the shipment management and monitoring solution offered by ABC’s Control Tower. Transportation of special cargoes, including aircraft engines by ABC is monitored and coordinated by its Control Tower, a team of highly-skilled and experienced personnel working 24/7 to guarantee seamless deliveries. Monitoring includes all important shipment records; the technical condition of the aircraft, temperature settings and changes, shock sensing data, and weather forecasting, to name but a few. Aircraft engine transportation is a technologically challenging process which requires a high level of expertise and years of experience. 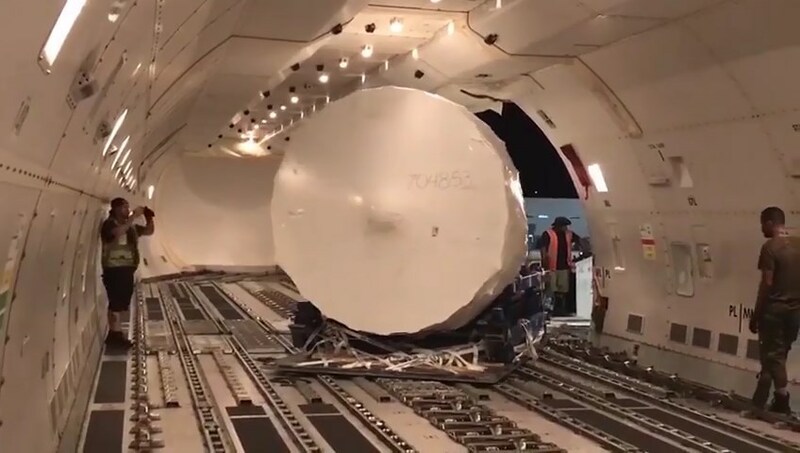 Having a proven track record for successful engine transportations through its parent company, Volga-Dnepr Group, spanning more than 28 years, AirBridgeCargo is able to call upon best practices for moving such sensitive shipments for customers in the aerospace industry. Using the dedicated abcXL product, ABC’s team of logistics practitioners are able to organize jet engine deliveries with minimal loading time and maximum attention to detail. In addition, the airline’s specialists are continually working to gain a deeper understanding of customers’ products and businesses to refine ABC’s service offering. This knowledge continues to give ABC an advantage in the market as it works closely with OEM and MRO providers as well as specialist forwarders.